You are here: Home / Why Use Local Boiler Quotes? 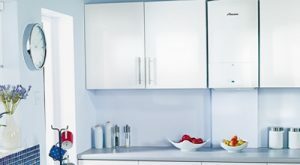 Why use local boiler quotes? Get a more personal service with competitive pricing from a local boiler company who knows your area. Check out this Boiler Prices Guide to see some of the options available. Big companies with Nationwide coverage can sometimes be somewhat impersonal because they have so many things to do – British Gas being a case in point have thousands & thousands of customers for many services and can’t go “1 on 1” with everybody at all times. Using a local company could mean that because they operate in your location, not only do they know the area they are keen to keep their reputation high because an unhappy customer could cause a serious loss of business to them. As long as you are using a registered “gas safe” engineer to do the work you should be OK, as they are trained to a high level of competence and are able to do the work properly. You should also bear in mind, if you are having your boiler replaced, that it’s not only a faulty unit that can cast money & cause inconvenience. If your radiators are old, inefficient or just clogged up from years of use then it could be worth your while to change the radiators or at least have a power flush to clean out the pipework.